Capranicaite: Mineral information, data and localities. Named after the type locality, in the Vico volcanic complex at Capranica, Viterbo, Italy. 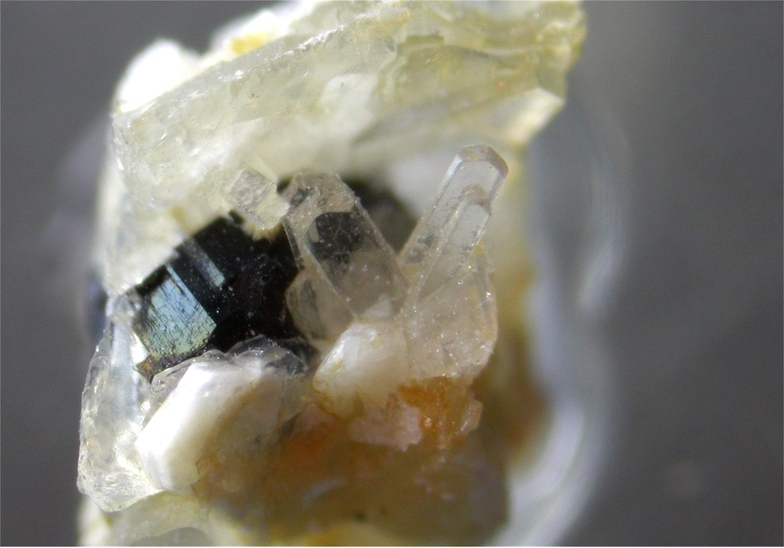 This page provides mineralogical data about Capranicaite. Its hardness should be less than that of sanidine (<6 on the Mohs scale). 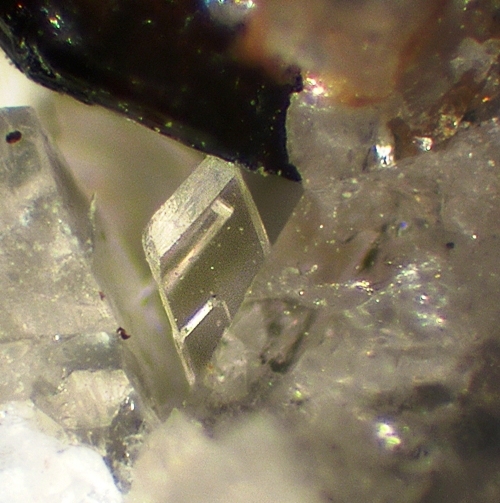 Thin, tabular crystals no larger than 0.1 mm. Mineralogical Museum of Rome University "La Sapienza" (Italy), specimen number MMUR 33036/1. It occurs in miarolitic cavities of a feldspathoid-bearing syenite ejectum and formed by late-stage metasomatic processes related to the activity of the Vico volcano. Callegari, A. M. et al. 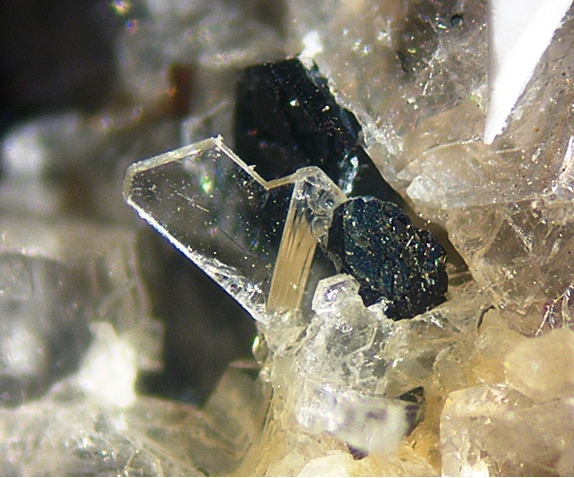 (2010): Capranicaite: a new mineral from Capranica, Viterbo, Italy. 20th General Meeting of the IMA (IMA2010), Budapest, Hungary, August 21-27, CD of Abstracts, p. 495. Callegari, A.M., Boiocchi, M., Bellatreccia, F., Caprilli, E., Medenbach, O. & Cavallo, A. (2011): Capranicaite, (K,◻)(Ca,Na)Al4B4Si2O18: a new inosilicate from Capranica, Italy, with a peculiar topology of the periodic single chain [Si2O6]. Mineralogical Magazine, 75, 33-43.